In the spirit of International Women’s Day’s 2014 theme, “Inspiring Change,” social justice activists from diverse backgrounds came together this past Saturday to engage in critical dialogue around pro-feminist men and how more men can engage the movement to unlearn patriarchy, stand in solidarity with women, and collectively advocate for social change and gender equality. Awesome upcoming event: What does feminism have to do with men? Do you have a gentleman in your life whom you would like to convert to the righteous and noble cause of feminism? Perhaps a young boy whom you would like to indoctrinate good and early? Have you found yourself trying to explain the concept of “privilege” to a man and thought, “Ugh, this is exhausting. I wish I could just hand him a book that would explain all of this so that I can go watch the most recent episode of Mad Men”? Dregs One is a rapper, activist, and community worker born and raised in San Francisco, CA. Dregs has been rapping since he was 14, and his music has always been deep. 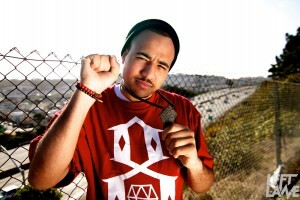 After studying ethnic studies at UC Riverside, however, his music took a turn for the political. This is probably my favourite submission yet to Men Who Trust Women. It’s from Channing Kennedy, who writes at Colorlines. Channing has kindly consented to let me re-post it here, so that you can all see it. 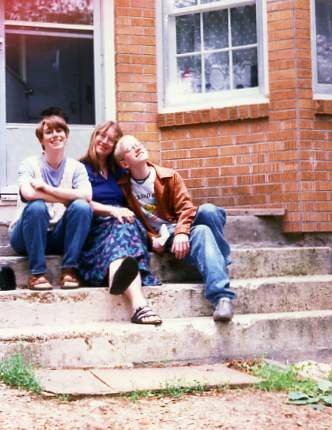 This is a photo of one of my family’s happiest days: the day I met my sister, when she was 31 and I was 16. (Yes, I was way into Everclear and posing funny in photos. It was 1996.) My mom got pregnant with my sister when she was still in high school; she was made to turn in her National Honor Society pin, and she had to put her baby up for adoption. This is a guest post from Cara Hoffman. Hoffman is the author of the critically acclaimed novel So Much Pretty, about violence and retribution, a New Yorker Books Pick, So Much Pretty is now out in paperback from Simon and Schuster. The Guy’s Guide to Feminism is a new book by Michael Kimmel and Michael Kaufman. Kimmel, as regular readers will know, is one of the leading thinkers on masculinity in America and the author of Guyland and Manhood in America. Kaufman is the co-founder of the White Ribbon Campaign and the author of a number of books about gender, including Cracking the Armor.